IBVPN offers a budget priced VPN with a free six hour trial of the service, prior to purchasing a plan. There are a range of available payment plans with IBVPN geared towards customers carrying out frequent filesharing and torrenting activities, basic VPN use and customers who only want to use servers based in certain locations of the world, so customers will surely find the VPN to suit with all this choice. The company has more than 100 servers based in 34 different countries around the world and the VPN can be downloaded to a variety of devices, including iPads. Customer service is available via a livechat option on the website, although users will find the comprehensive knowledgebase and FAQs provide enough information to answer most common queries. IBVPN users desiring to remain totally anonymous will find the ability to pay with BitCoin gives this opportunity and the company guarantee they keep no user activity logs at all which is a great added enhancement to anybody wishing to stay anonymous. Registering for a plan with IBVPN is simple and straightforward and available protocols include PPTP, L2TP, OpenVPN and SSTP where these are acceptable to devices. OpenVPN is the default option after installation and customers can easily change protocol when required. Adding IBVPN to an iPad is easily performed with a free app from the Apple store although manually adding the VPN is fairly easy to perform. Customers wishing to add the VPN manually will need to firstly look up the address for the best IBVPN server to suit their needs as this will need adding to configuration details. It is then just the case of accessing the Settings menu on the iPad and selecting General. From the General screen the Network and Add VPN Configuration items should be selected. This then brings up a screen where some details for setting up the VPN will need to be input. The customer firstly needs to choose the desired protocol from the choices shown at the top of screen. The description IBVPN should be added to the Description field, with the chosen server address added to the Server field below. RSASecurID should always remain in the Off position and the customer then needs to add the appropriate username and password details. The Send All Traffic button should then be clicked over to the On position. Once all these steps have been completed the blue Save button in the top right corner of the screen can be tapped so all configuration details are saved to the iPad. The device will default back to the General screen when saving has taken place and the customer can see the VPN details displaying. Turning the VPN on is just a matter of tapping the VPN On button and waiting for the network to activate. 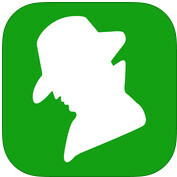 IPads do automatically disconnect from the VPN when the devices go into sleep mode, so it will be necessary to reconnect the IBVPN network on a regular basis. When the customer wishes to close the network it’s just a simple matter of flicking the VPN Off button. 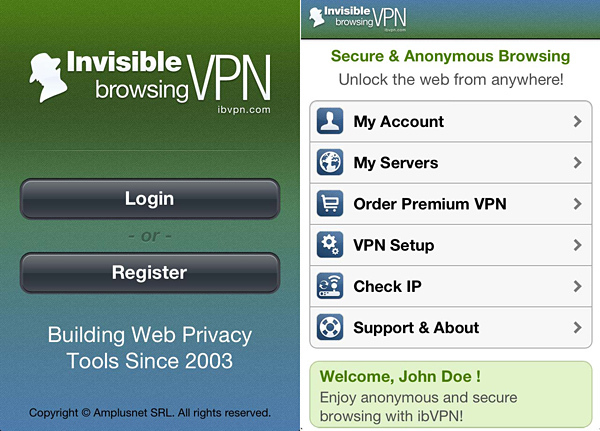 Once IBVPN is added to any iPad the user’s Internet security is guaranteed. It will be safe to browse the Internet from any WiFi hotspot or mobile Internet connection with the VPN active, hackers and eavesdroppers will be unable to access any of the data that is sent or received. Where customers want to use a different server so they can access sites in different parts of the world that may be geo-restricted it will be necessary to go back to the VPN Configuration screen to change the server information however this will take just a few seconds.